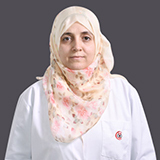 Dr. Dena Abdelhady completed Bachelors in Medicine and Surgery and Masters of Sciences in Radio-Diagnosis from Ain Shams University, Cairo, Egypt. 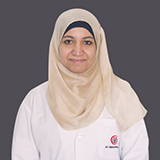 Dr. Dena's work experience spans 7 years in various international hospitals in Middle East namely as a Resident in Diagnostic radiology in Ain Shams University Hospital, Cairo; as an Assistant Lecturer in the Department of Diagnostic Radiology Department. 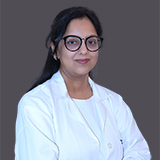 Her UAE experience are as a Specialist, Radiologist in one of the prominent medical centers in Sharjah, UAE and as a Specialist Radiologist 'A' and Head of X-Ray Department in Ministry of Health, Dubai, UAE. 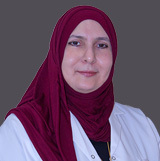 Dr. Dena Abdelhady's area of expertise Diagnosis of diseases of human body, using computer assisted tomography, nuclear medicine, radiology, MRI and Ultrasound; Examination of internal structures and functions of organ systems, correlation of imaging / X-ray findings with other examinations and tests. 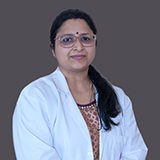 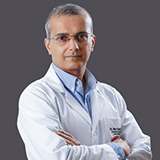 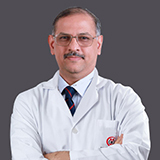 Dr. Dena has attended various international conferences. 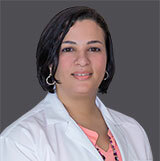 Dr. Dena speaks English and Arabic.